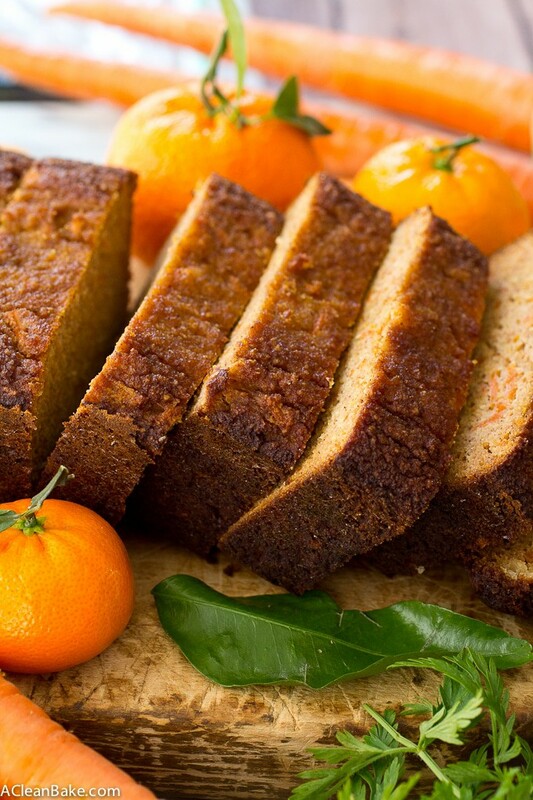 I can personally attest to the fact that this carrot orange bread is killer. It’s awesome fresh out of the oven, it’s a winner for breakfast, and it’s an absolute gem topped with almond butter and dark chocolate chips. But don’t take my word for it: take my experience eating nine loaves of this for it. Yeah, this bread and I, we’ve very well acquainted. Although I wouldn’t recommend making nine loaves in the span of, like, 2 weeks or so, you can rest assured that the pleasantly sweet flavor of this bread doesn’t get old easily. Or at all, as far as I can tell. I don’t want to overstate this but it’s kind of a big deal. See, usually, by the time I have made a dessert frequently enough to get it just right, I am so sick of it. But I have been eating this bread like it’s going out of style. Sorry, family, friends, neighbors and coworkers; this one’s all mine. I’d love to tell you that this bread was inspired by something profound and interesting, but honestly, the only reason I made it at first was to use up some of the huge box of clementines I bought just because they still had their leaves attached and I am an easy target. Oh, Trader Joe’s, you tricky minx. 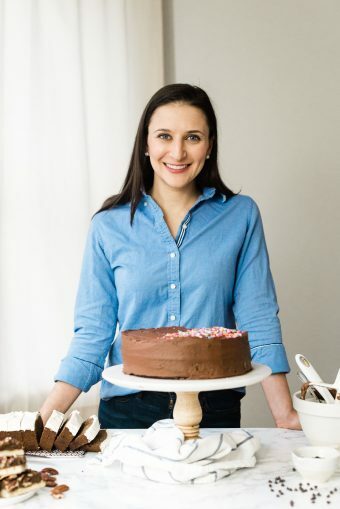 The carrots serve two purposes: first, I really like carrot cake this time of year, and second, if you put vegetables in cake, you can call it bread and eat it for breakfast. I mean, everyone knows that, right? 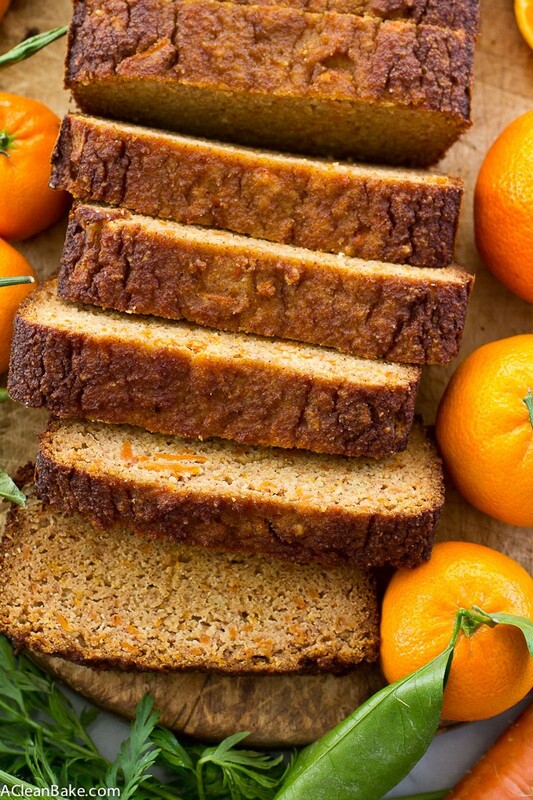 Carrot Orange Bread that is moist and lightly sweet, gluten free, grain free, lower carb and naturally sweetened. You'll love it! Preheat the oven to 350F. Lightly grease an 8.5" loaf pan and set aside. In a medium mixing bowl, whisk together the almond flour, coconut flour, sweetener, cinnamon, baking soda and salt and set aside. 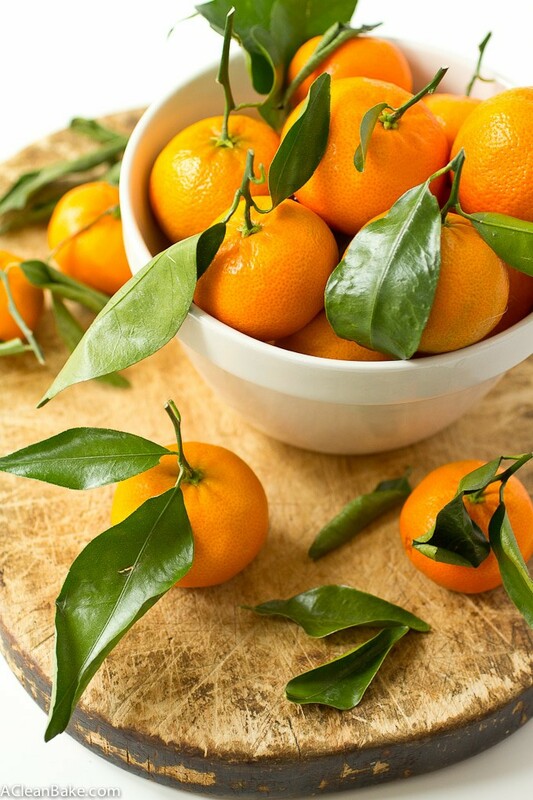 In a large mixing bowl, whisk the eggs, then whisk in the orange juice and zest. Add the dry mixture (flours, salt, etc) and whisk until thoroughly combined and no clumps remain. Don't forget to scrape the sides of the bowl to make sure you have everything well incorporated. Bake for 30 minutes, then tent with tinfoil and bake for another 30-40 minutes until a tester comes out mostly clean (a few small crumbs are ok). Yield: One loaf of bread. The flavors of this are incredible! I baked this over the weekend and it was a hit! Very easy to bake and with a lot of flavor. The texture of my bread doesn’t look like the one in your pictures, but, we loved it!! Thanks for letting me know, Vivian! Just curious: What was the texture of your bread like? I’m glad you enjoyed it, even if it was a little different from the picture! 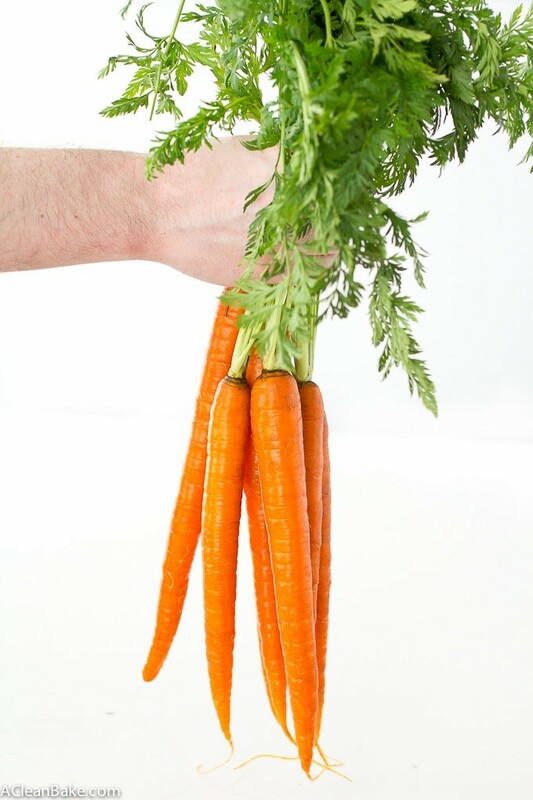 When do you add the carrots? Fold them in right before transferring the batter to the pan. Made into muffins. It makes 12. Delicious! Definately a keeper! Thank you, Tina! That’s wonderful to hear! 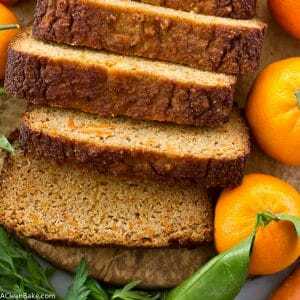 Is the nutritional value chart correct for 1 serving of Carrot Orange Bread? No that was for the entire loaf. Something was wrong with the nutrition but it is fixed now! Really love the taste of this recipe. I doubled up and it was great but almost TOO dense. I’d recommend if doubling the recipe maybe to not double orange juice. I’m going to try again today with 1.5 cup. Fingers crossed!!! 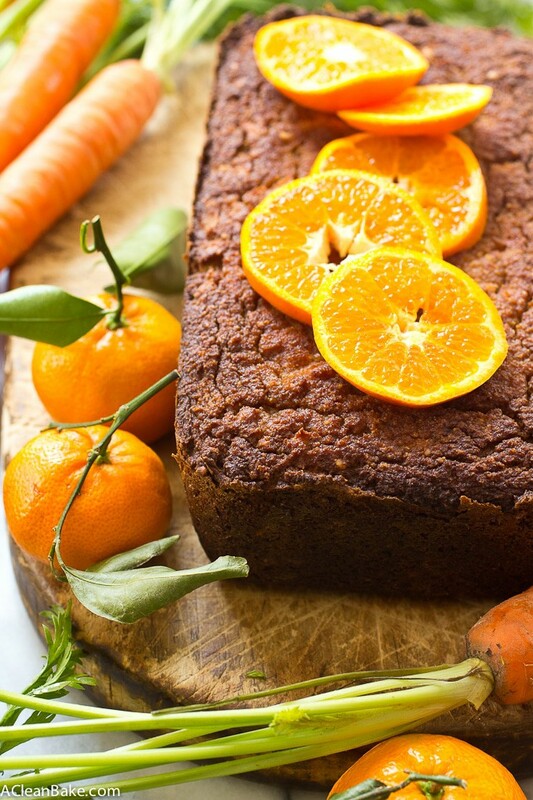 I tried baking this carrot orange bread last week and it was delicious, although a little too sweet. I used monk fruit sugar from the little individual packets. I’m new to monk fruit sweetener and don’t know much about it. Do you recommend using the 1:1 monk fruit sugar that comes in large bags instead of the little packets? Hi there! Monk fruit should be the same regardless of the package, but it can (theoretically) vary in sweetness by brand. Most likely, you’ll just want to reduce the monk fruit sweetener in the recipe to taste next time. It shouldn’t change the baking time or anything! His looks SOOOOO good and I need a new healthy vice after the holidays;) All I have on hand is the liquid monk fruit, any thoughts on if that would work if I can figure out a conversion? Unfortunately, I wouldn’t replace the granulated sweetener with a liquid one – I’m not sure what it would do to the texture! I’m sorry!